WARNING: You will need to use an external USB Wifi dongle to update Core Info Files, Assets, Databases and Overlays, rest is optional, except Cores, included inside PND. WARNING 2: Needs SGX 4.10 GPU beta driver version. 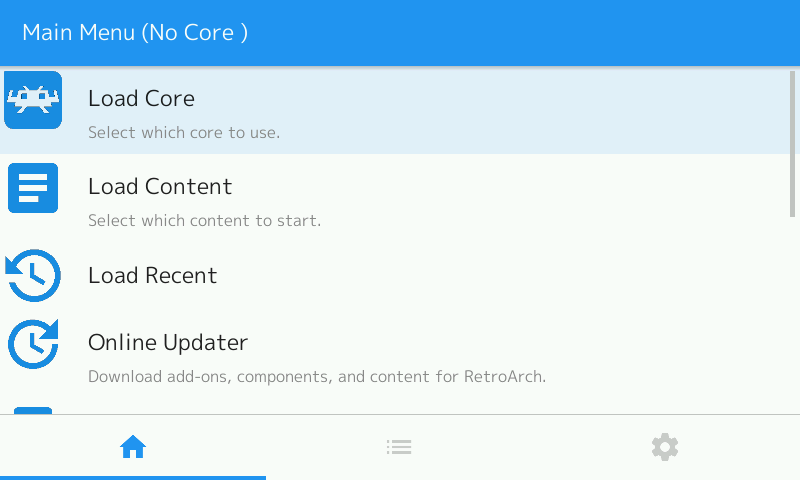 - Latest Retroarch stable release. - Updated SDL 2.0.8 (thx to ptitSeb for updating his github repo so quickly) and SDL2 Image 2.0.3. - Updated source code in src folder. - This time using latest git gl4es release instead of GLES2 directly. - Updated lots of cores, see list below. 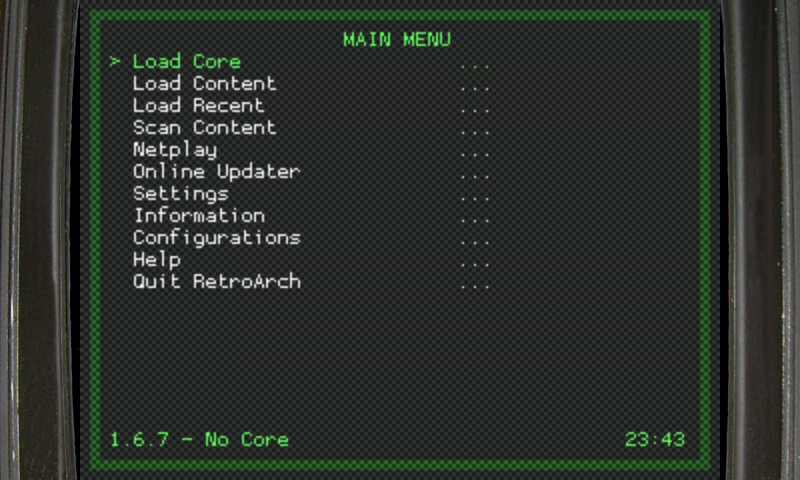 - Latest Retroarch stable release, compiled with latest beta codeblocks.pnd command line. - Compiled Filters on filters PND, default config changed, but current users should edit retroarch.cfg on appdata folder. Thx to PokeParadox for the info. Re the Warning - Shouldn't need Wifi dongle. You can download the Cores & Assets etc. 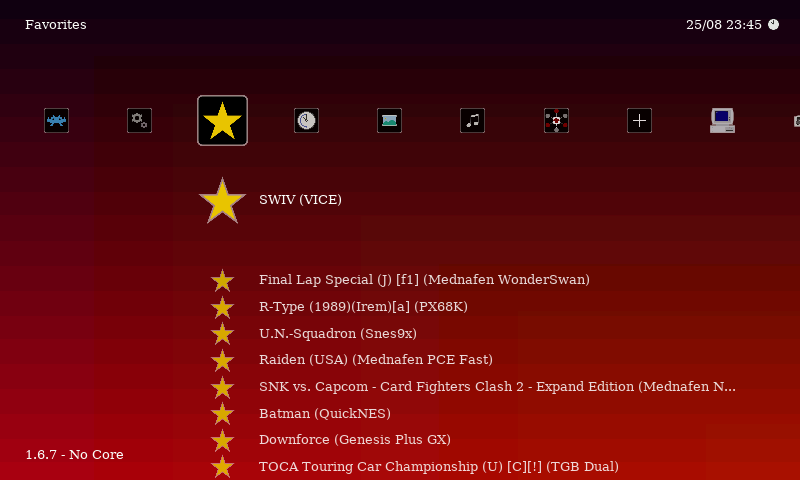 files on a computer then copy the downloads to the RetroArch directory on your card. The program works with old drivers ekianjo, but for some reason, the A, B, X, Y stop working as SLiX said in his previous comment. Still don't know what's causing this problem, but any patch is welcome. why doesnt it work with another driver version btw? Works but I have some problems with input. Up, down, left and right are OK, but buttons (end, pagedown, ...) aren't working. I can bind/rebind them, but UI doesn't react to buttons presses. OS version is the last one (1.76). Any idea ?